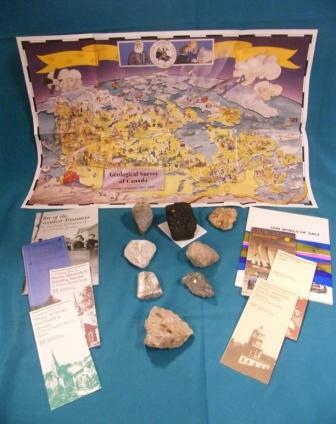 Explore the world underneath our feet with the Geology Resource Box. The box contains 40 samples of rocks and minerals found in Nova Scotia. Mineral testing supplies allow students to identify, compare and classify rocks and minerals according to their properties. Booklets, maps and posters provide further support to students learning. Students can also make connections between the geology of our province, and the communities and businesses that depend on mineral resources such as gold, coal, salt and gypsum. Outcome 7: Students will explore the characteristics of rocks, minerals and fossils. Outcome 8: Students will explore how the Earth’s surface changes over time.